With SharePoint Online it is not a big task to share information with an external user who is not part of your company domain without allowing anonymous access. External users can use the invitation email to login and access information, even though a Microsoft account is mandatory (Windows or Hotmail or Office365 account). Microsoft rightly has been putting efforts to make this external sharing experience even smoother. The latest i heard is that external users will be able to access the content without needing an Office 365 account or a Microsoft account. External users will be sent and email with time-sensitive, single-use verification code when they access the files or folders. By entering the verification code, user proves ownership of the email account. 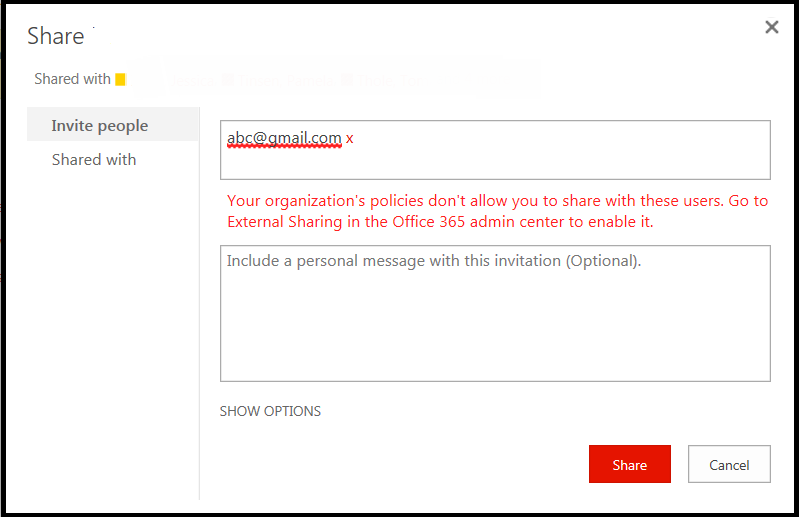 This works only when a document or a folder is shared with user whereas while sharing a SharePoint site, user still needs to login with the same email account as of today. That being said, we may have an easier approach to share a list with external users in future. When I tried to share a list with a group of external users; strangely ran into an issue which says external sharing is not allowed! I am pretty sure that external sharing is enabled in admin center and we are able to share the site with external users. The issue is only with one particular list. I tested and confirmed that I am unable to share any list created in this site with external users. 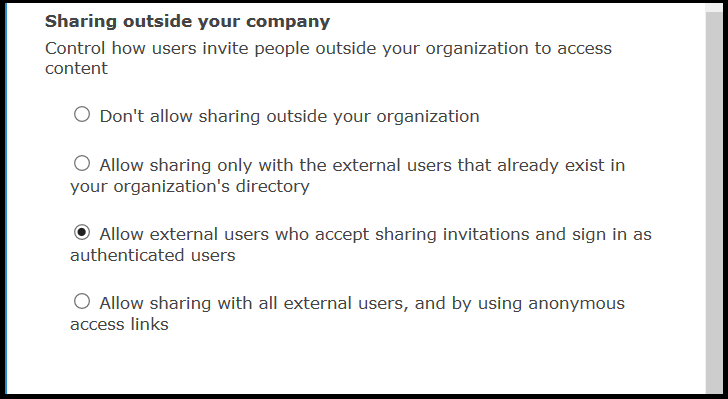 After spending some time researching on external sharing in SharePoint Online, I realized that when we share a resource with new external users, we must share either a site or a document. Initial invitation is required to access the site and it is supported only when sharing a site or document as of today. (Like i already mentioned, Microsoft is making changes to external sharing verification process). Share an item in the list first with the new external user. Let the user access the file once. Now share the list with external user.